The source code of this example can be found under "Examples\TasksInteraction\" subfolder of the MVC# root folder. Silverlight presentation project is in the "Examples\TasksInteraction\Presentation\Silverlight" folder. The framework itself can be downloaded from www.MVCSharp.org/download.aspx. Nowadays user interfaces become more and more complex. And with the appearance of RIA (rich Internet application) technologies (e.g. Silverlight) even Web interfaces are gaining considerable complexitiy. A good way of fighting against this complexity is using architectural patterns, such as Model-View-Presenter. In my previous article (read it up to the "Presentation" section prior to going on with this atricle) we have got acquainted with MVC# - a framework which simplifies the usage of the Model-View-Presenter pattern by developers. There we have concerned an execution of a single task and have discussed interaction between task's views, its controllers and the task object itself. But one important question left uncovered is how two or more tasks interact with each other. This article considers an example of communication between tasks in MVC# Framework. The presentation platform we are using in this example is a brand new Silverlight 2.0 (which is supported by MVC# starting from version 0.8). The example we concern here deals with a list of employees and allows to award a bonus to each employee. Bonus awarding procedure requires entering several options which determine the resulting bonus sum. We will construct the application of two tasks: one for browsing through the list of employees (main task), the other for awarding a bonus to a particular employee (bonus award task). 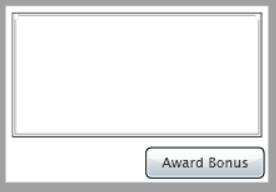 Besides a list of employees the employees view will contain a button (or menu item or whatever else) for starting a bonus award task. However the employees view will not start this task itself. Instead, according to the MVP pattern, this work should be delegated to the associated EmployeesController instance. Next, we will discuss the AwardBonusTask class and corresponding controller classes. Here we do not need to pass anything back to the main task. In more complicated situations, however, the originating task's behavior might depend on parameters passed back to it by nested tasks. A few changes should also be made to the MainTask class. The point is that Navigator.NavigateDirectly(...) would not activate a view if it is already marked as current for the task. That is why calling MainTask.OnStart(...) will have no effect if returning back to the main task. Instead, we should use Navigator.ActivateView(...), it will activate a view even if it is current for the task. As we can see tasks communication is done by simply invoking task start methods with necessary parameters. For existing task instances we use Task.OnStart(...) method, for new tasks TasksManager.StartTask(...) is used. <Button Width="95" Height="25" HorizontalAlignment="Right" Grid.Row="1"
Note that we are using a layout with two columns so that the view occupies the entire window space. Otherwise the contents of underlying views can become visible, which is unwanted. That is all with the employees view. Next we will design two views for the bonus award task. The advanced options view will be shown inside the award bonus main view, in the rounded dialog box. That is why the markup above contains the <TI:ABAdvancedOptionsView ...> element. It should be hidden at first (Visibility="Collapsed") and its name should be specified (ViewName="Advanced Options View") for the framework to properly identify it. <Button Grid.Row="2" Width="50" Margin="0,10,0,0" Grid.Column="1"
Tasks interaction in MVC# is no harder than an ordinary interaction between two objects: one tasks just passes needed data to the other task's OnStart(...) method (either directly or by calling TasksManager.StartTask(...) if the task instance does not exist yet). Using MVC# with Silverlight platform is easy as well: everything needed is to design view classes, just like for other presentation platforms (Windows and ASP.NET forms).